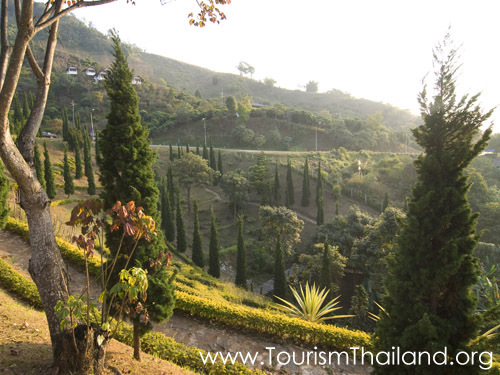 Located in Amphoe Thoeng, Doi Pha Mon is at its most splendid during the winter when all visitors gather for the bed of tulips, red salvia, poinsettias, lilies, to name a few. If you depart from the city, get on the Highways No. 1020 and then 1155, which will take about 2.5 hours. Opening hours: 8:00 a.m. - 17:00 p.m.